We wish all our customers and volunteers a very Happy New Year. Thorncombe Village Shop is at the heart of the village of Thorncombe – literally, as you’ll find us at the centre of this popular village. 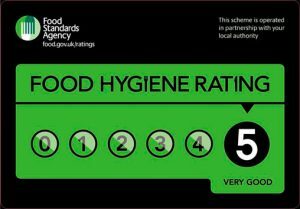 We’re a happy, busy shop, providing a valuable community service 7 days a week. As well as supplying our customers with a varied range of groceries, we run a cafe where you can sip a cappuccino or a cup of tea and treat yourself to one of our delicious cakes. We have free Wifi so you can catch up with your emails – a useful service for holidaymakers. 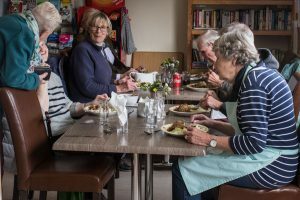 The shop is run by an association whose aim is to serve residents of and visitors to the village of Thorncombe, in Dorset close to the borders with Somerset and Devon. Most of the staff are local volunteers who will be glad to help you find what you need in the shop, or order goods in for you. 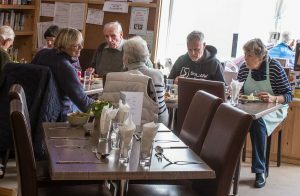 In addition to groceries, papers and beverages, we have a part time Post Office (see below for opening hours), and provide a two-course home-cooked lunch every Tuesday for only £7 .The menu is updated weekly . We also sell home cooked delicious Bacon Baps every Saturday morning from 9 – 11 am. Take a look at the products and services we provide. Have you seen our Monday Special? Cheese, Coleslaw, Baked Beans, Tuna, Bacon or Special of the Day. Come in and see us soon – you’ll be given a warm welcome. Customer from Lindfield, West Sussex. Come in and see the new layout and furniture in the shop! 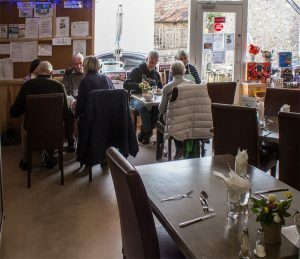 With comfortable chairs and roomy tables the cafe area of the shop is certainly worth a visit – come in for a bacon bap, or coffee and cake. Try a bowl of Homemade Soup or a toasted teacake with your coffee. You’ll be welcomed with a smile. And now Spring is on its way you can sit outside as well! For more pictures of the refurbishment see our Gallery Page.